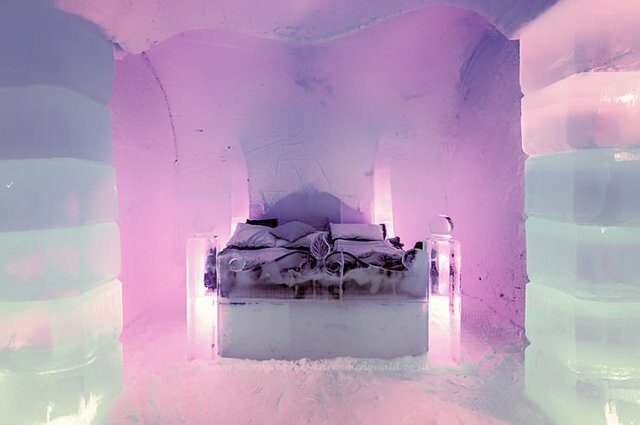 Situated far in the north of Norway, the hotel might be your dream getaway if you ever get overheated. 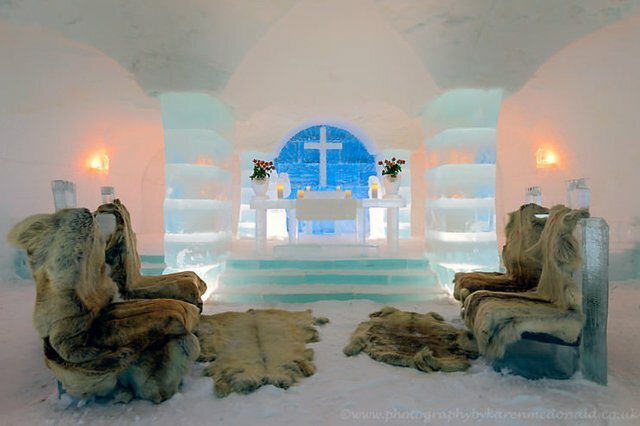 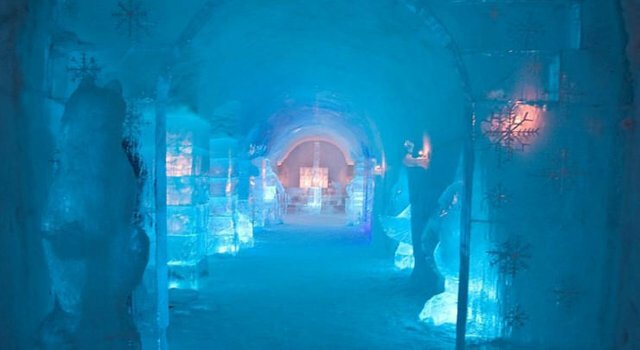 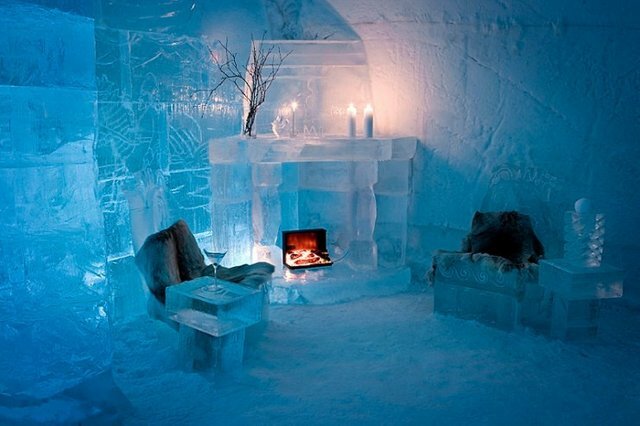 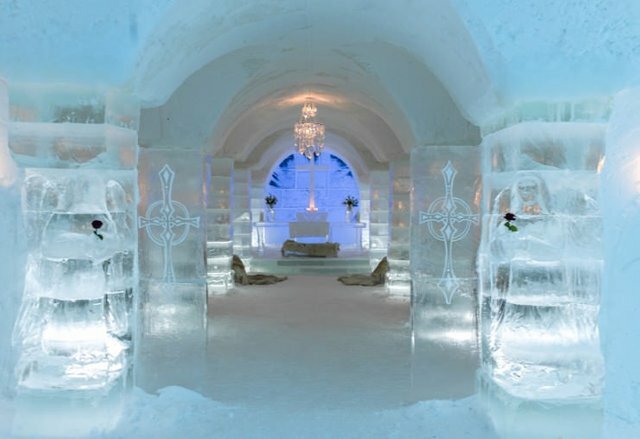 The one of a kind hotel is made entirely of ice and snow and provides the most unique experience. 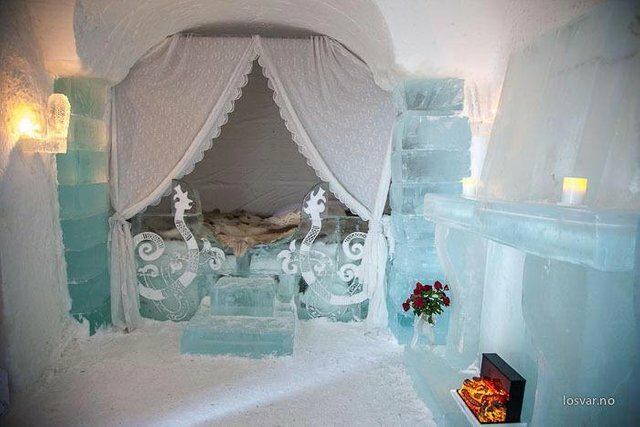 The temperatures inside are between 20-25°F (-4 and -7 °C), so the guests have to wrap up in warm sleeping bags and reindeer leather pads to stay warm.